I read things that spur pondering. 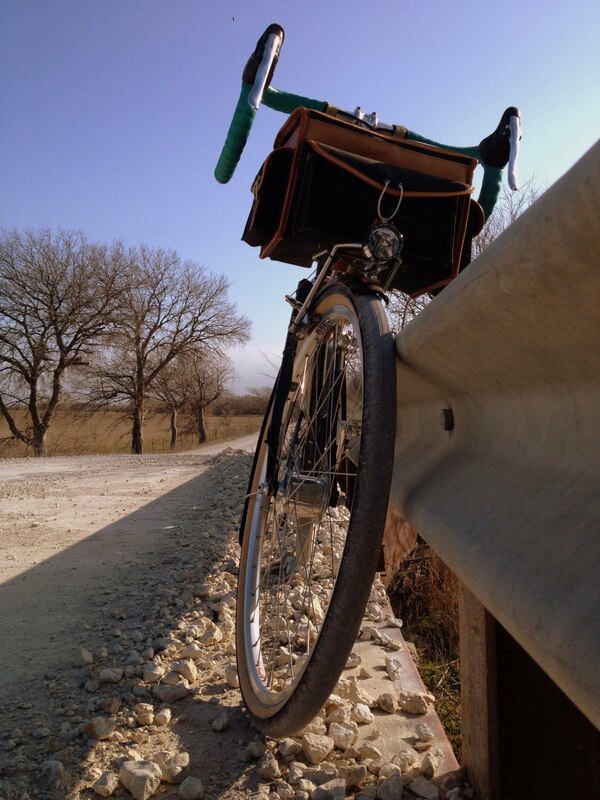 On January 4th, Jan Heine posted “Why Buy an Expensive Bicycle” on his blog. 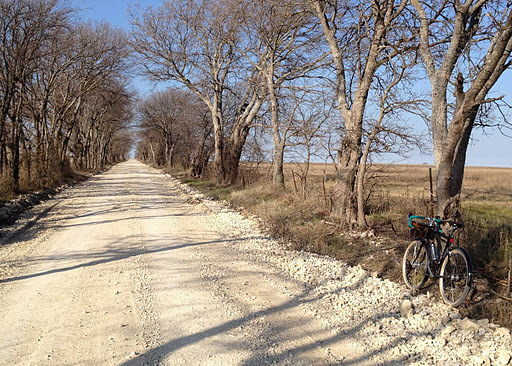 Then on January 6th Kent Peterson posted “Why I Don’t Buy Expensive Bicycles” on his blog. I agreed with both gentlemen. I’m conflicted like that, and that makes for some marathon pondering. I don’t have the energy, and you don’t have the patience, to deal with all of the places my mind went in this mental tug-of-war. So I’ll skip straight to where I ended up. It seems that making an objective decision about the best approach is pointless. If we are really honest, we’d probably admit that our objectives aren’t all that simple or even constant. Instead, they are quite multi-faceted and dynamic. That lands us in the realm of the subjective. For most of us, it is never all about speed, or all about out-performing your ride buddies, or all about carrying stuff. There is a balance between light weight and durability, aesthetics and function, speed and comfort, etc. The truth is we want more than one thing, and the way we each evaluate optimal is different. That’s okay. It’s your money, and I don’t need to tell you what optimal should be for you, or how to achieve it. My evaluation of optimal varies within the same day. This morning, I had a hankering to ride fixed. Even though I fought a headwind for an hour, and my one fixed gear was not optimal from a speed perspective, I wanted that sense of momentum and being a part of the machine. At the moment, it’s the only fixed gear bike I have, so in that sense it was an easy choice. I didn’t finish the ride as quickly as I could have on a different bike. I was out there enjoying the machine connection a little longer, and that was fine with me. In fact, it was preferred. Of all my bicycles, the Kogswell P/R was optimal. At least it was until this afternoon. Thank goodness for variety to help alter that pursuit of what is optimal. I was going to chime in on this metaphysical struggle myself, but you have done so well enough to satisfy here. What a fine commentary on the topic of bicycle expense! It's quite interesting to me to see what a ripple this subject has made in some of the cycling blogs I often visit. It strikes me as a good thing that, by your choosing the fixed gear bike, you did not complete your ride as quickly as you might have on another bike. I appreciate that it enabled you to enjoy a particular connection with your machine, which is just one of the many good reasons any of us ride. I'm going to have to get my fixed gear out for a spin, soon. Thanks, again. I love my old Trek 520. I have always felt like I could have gotten a little better bicycle for a lot more money. Nice post. I think Jan and I are in more agreement than most people recognize. Jan articulated why he finds good value in high end bikes, I pointed out the value I find in my choices. You did a nice job of cutting past the dollars and going to the values. Well, I am on the record as feeling that whatever bike I am riding, at the moment, is my favorite bike and that is regardless of dollar value of said bike. I think that meshes with your outlook, as I understand it.Bottom line: Better a cheap bike than no bike at all. For me, in addition to the "balance between light weight and durability, aesthetics and function, speed and comfort, etc." is the balance between cost and performance, as alluded to by other commenters. This could be summed up, as by Kent, in the word Value. Myself, I lean heavily towards the low-cost end of the spectrum (reclaimed, rebuilt, salvaged, etc.) and try to squeeze what performance I can out of that.Similar to the quote from Chris (above) is the issue, framed by someone way smarter than me, that bicycles can be light, strong or fast: pick any two. Another set of choices among which to seek balance. I meant to write that 'optimal' is that point of balance that each individual aims for. BTW, that's a fine looking road there. Another thing is that a lot of bloggers seem to have more than one bike. It's often quite several actually. Perhaps that plays a part? I have one bike and have always had one bike (although I admit that I am building a second). I spend what I can for quality but often find that I am incapable of sensing the difference between what what pricey and what was not anyhow. Always makes me think hard about my next purchase.Great post.